The inclusion of respiratory disease as a priority disease area in the NHS Long Term Plan is very good news. This recognition is long overdue. Lung disease is the UK’s third biggest killer but, unlike other major disease areas, mortality rates haven’t decreased in over a decade. The respiratory content of the Plan echoes many issues which are priority areas for The Primary Care Respiratory Society (PCRS), which I chair. These include proposals to improve diagnosis; provide better training for those who deliver respiratory care; better uptake and availability of pulmonary rehabilitation and provide more appropriately resourced respiratory care closer to home. These are also areas identified in the plan recently published by the Taskforce for Lung Health, a collaboration of 29 organisations which are working together to improve lung health. We are pleased to see that primary care networks will be a keystone in integrating services outside hospitals and we will be keen to support the distinct role of general practice within these organisations. PCRS will campaign for appropriate resources and education to sit alongside them. We welcome the drive for supported self-care, including patient education and the commitment to provide better physical activity opportunities right from the point of diagnosis; proposals to avoid waste and achieve value through responsible prescribing of medication; and integration where evidence supports its use such as joint cardiac and pulmonary rehabilitation programmes for breathlessness. The Plan sets out integrated care as key in reducing hospital admissions. PCRS has supported and helped to develop the integrated approach to respiratory care. We recently highlighted the multidisciplinary respiratory virtual clinic model; an innovative way of bringing together hospital lung specialists and primary care clinicians to improve the care of people with long-term conditions such as COPD with coordinated working between specialists and generalists, in structures that have been the forerunners of primary care networks, we have seen improved outcomes for these populations as distinct to neighbouring and equivalent areas. The Plan promises to target investment in improved treatment and support for people with respiratory disease with an ambition to improve outcomes that equal or better our international counterparts. This is a worthy ambition. However, it will only be realised if more resources are invested in training, not just for doctors, but also nurses, pharmacists and physiotherapists. In particular, resources are needed to ensure that all healthcare professionals who perform and interpret respiratory diagnostic tests such as spirometry must be trained and certified in order to achieve the Plan’s stated aim of improving diagnosis of lung disease. We are pleased to see recommendations that will highlight to healthcare professionals the vital role they have in treating tobacco dependency, regardless of whether this is part of a respiratory or other condition pathway. The Plan is to be commended for highlighting the need to treat inpatients, those with mental health conditions and pregnant women who smoke. However, as set out in the Ottawa model, quoted in the document, I would like to stress that it is an absolutely essential element to the model that patients identified and treated for tobacco dependency in secondary care should have their care transferred to the out-of-hospital services. The Plan suggests that this care will now be provided within our primary care networks, so we would call for acute trusts taking on the Ottawa model, to consider carefully how they will work with the new structures to support their aim of reducing admissions and helping people to stay at home. We welcome the explicit recognition of the need for healthcare organisations and professionals to treat tobacco dependency as a long term condition but this must be conducted in synergy with our local authorities who also have a key role in attending to this problem. We hear from our members about budget cuts which limit the offer they can provide. So we will be looking to the Social Care Green Paper, anticipated later this year, to see how health and local authorities will be empowered to work better together to achieve the ambitious Smokefree targets we have set ourselves as a nation. And finally, as stakeholder for the HQIP/RCP National Asthma and COPD Audit in Wales, is that we will need more data if we are going to achieve the Plan’s ambition of improving respiratory care, services and clinical outcomes. Data from the Wales audit has started an innovative programme of improvement in general practice and hospitals but we still don’t have a national audit in England. PCRS will continue to work with HQIP/RCP and NHS England on a plan to implement this much needed work. In the coming months PCRS looks forward to working with NHS England in fleshing out and implementing the Plan’s concepts at both a national and local level. 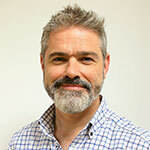 Dr Noel Baxter is a GP in Southwark, London. He has been the respiratory champion there for the last 10 years, working with both primary and secondary care colleagues within a population based integrated respiratory service. He is also Clinical Director for Quality and Service Improvement at NHS Southwark CCG. He is the Executive Chair of the Primary Care Respiratory Society (PCRS) and is a clinical advisor to the British Lung Foundation. He recently led the primary care workstream of the Royal College of Physicians’ asthma and COPD audit in England and Wales and was a member of the recent National Institute of Clinical and Care Excellence clinical guideline group for asthma management. Passionate about tobacco harm, Dr Baxter is a member of the board of trustees for Action on Smoking in Health (ASH) and recent co-lead of the London respiratory strategic clinical network from 2010 -16 and the London Clinical Senate ‘Helping smokers quit’ delivery team programme.